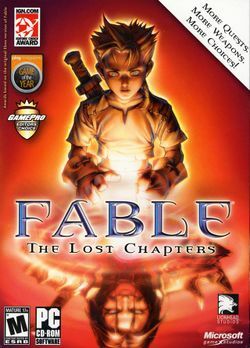 Fable: The Lost Chapters is an expanded version of the original Fable, released for the Xbox and Windows in 2005, and Mac OS in 2008. The game adds "lost chapters" after the original game's final boss. This page was last edited on 16 August 2016, at 14:52. This page has been accessed 44,110 times.